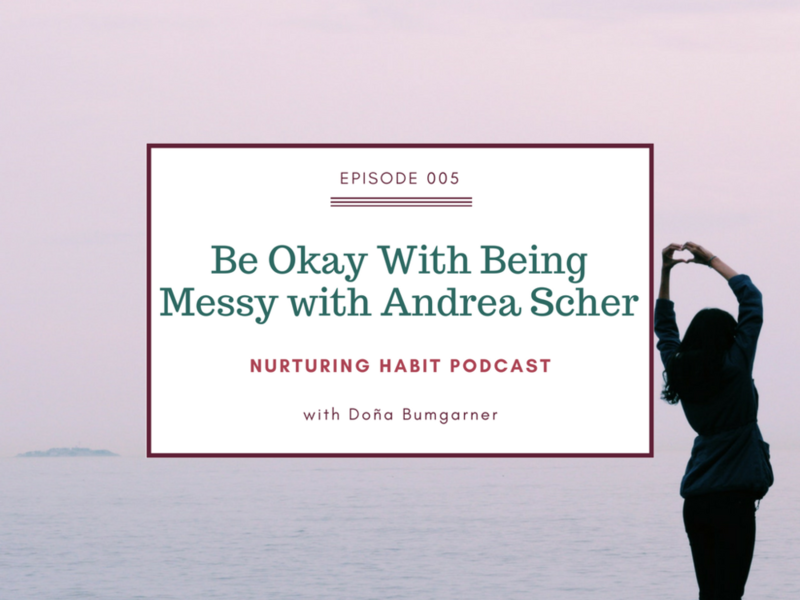 In this episode of Nurturing Habit Podcast with Andrea Scher, we talk about separation, divorce, parenting separately and grieving in front of your kids. We discuss how it is OK to be messy, because that's part of being human, hurting, and healing. Find complete show notes at the link. Holiday Nurturing Note sign up. Read more about Brené Brown's shame resilience work here. Read Andrea's recent blog posts on self love: Part 1 and Part 2. Some of Andrea's guides and support people. Kristin Neff's TED talk about self-compassion. I send a weekly newsletter with articles and podcast epiosdes that break down how to make room for yourself again, how to learn to love your messy beautiful life just as it is, and how to create a life you love to wake up to every single day.